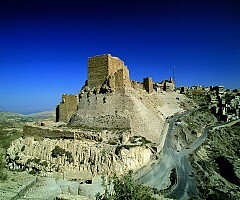 Kerak Castle, lies 140 kilometers (87 mi) to the south of Amman on the ancient King's Highway. 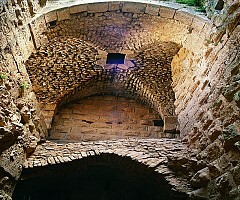 built in the 12th century, is one of the largest Crusader castles in the Levant region. 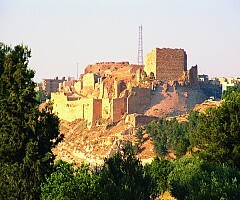 According to Biblical tradition, Kerak was designed by the king of Israel. 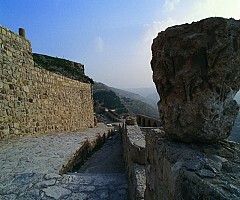 An ancient Crusader stronghold, Kerak sits 900m above sea level and lies inside the walls of the old city. In the early 1170s, the Crusader kingdom was ruled by Reynald of Châtillon, who took joy in savage acts such as throwing prisoners off the castle wall onto the rocks below. When the Ayyubid Sultan Saladin launched his attack on the Crusader kingdom, Kerak eventually fell under Saladin’s rule. 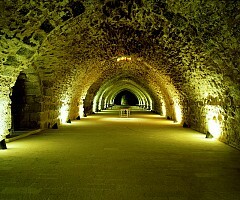 The castle holds the honor of being the first site to use contemporary artillery in the Middle East.